Are you experiencing slow speeds with your wireless network? Slow unrealizable speeds, flaky connections can make you think that you are subscribed to an ISP that has intermittent services. But the problem at times could be with your router. Below are seven things you can do to boost the router’s performance for a better internet connection. The remedy for your problem should be upgrading your router. Replacing it with a newer model can be all it takes to restore your internet connection. If you got the router from your ISP (Internet Service Provider), then request them to give you the latest router if available. Alternatively, you can ask them if you can buy your own in which case you should look for a model with fast speeds, strong wireless range, and secure Wi-Fi technology. A top choice would be models labeled ‘Wireless n and ac capable’ preferably with dual-band wireless support for the 2.4GHz band as well as 5GHz. 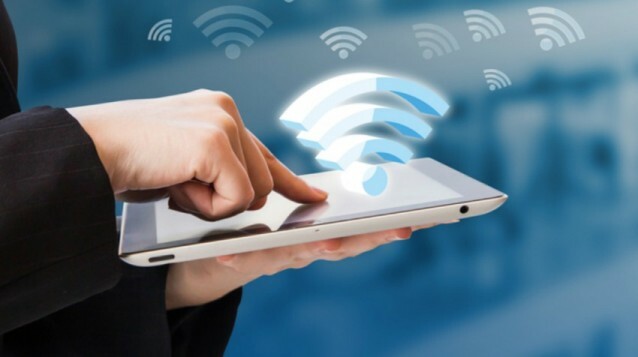 Such routers have a fast and reliable connection and are more adaptable to the latest internet access devices such as laptops, tablets, and iPads. In some instances, you may be using a weak antenna on a router with a powerful range; upgrading to a more powerful one may do the trick. With such an antenna, you can boost the wireless reception and transition range in and around your home. Most routers perform better when they are left to run continuously; therefore, do not turn yours off when it’s not in use. Some models are set to download automatic updates for their firmware that help enhance their performance and security. At times, an ISP may opt to switch off the router due to a faulty connection with the aim of addressing that issue of correcting the low speeds. But the problem would be on their end and not with the router. Therefore, you should consider using a comparison tool to help you find the fastest, stable, and reliable broadband in your area. Loose router cables may be the cause of your woes with the internet connection. You should check the wiring and then reboot the router if all is well with the wires. Give its around thirty seconds before turning it on; it will rest the broadband connection and restore it to its optimal speeds and connectivity range. Ensure the router is placed in an area with the clearest signal in your home. Connect it to a cable connection or telephone socket closest the main entry points of these into the house. Opting to bypass old internal phone lines can often have unreliable speeds and connectivity. Installing a Broadband Accelerator over the telephone socket can help boost the connection reducing interference from the telephone wiring for a better and stable Wi-Fi signal in and around the home. The further you are from your router, the weaker the connection therein the speeds. Try to move your workstation closer to the router and ensure that you position the device where it is not blocked by doors, furniture, walls, mirrors and other objects. Relocating the router to a better spot can be a quick and easy fix for your slow internet connection. Place the router in a central place that is elevated such as on top of a bookshelf or cupboard. Also, ensure the area is well-ventilated and free of dust. Wi-Fi channels have unique broadcast frequencies that can at item denigrate digital noise and interference. Such issues may arise if you have similar Wi-Fi frequency with your neighbor’s Wi-Fi network. Ensure that you choose a unique channel frequency that is different from your neighbor’s to avoid the interference. Go through the router manual to find know who you can change the channel and improve the speeds. Access the router’s settings via a web browser and choose your channel and restart the device. You also should inform your ISP about it and get advice on how to go about the changes. Running a wireless network without encryption password is unwise. The open access allows anyone to gain access to your network and they can slow done the speeds if they are heavy internet users. Most importantly, the free access places your internet privacy at risk of being hacked. Therefore, you should give your wireless network robust encryption by using a password with numbers, symbols, and letters (upper and lowercase). You can also enhance the security by hiding the router’s SSID to keep it from broadcasting the network’s name. Also, consider changing the password regularly. If you think that the overall issue is down to your broadband then you may wish to do a broadband comparison to get a better deal.